It’s a habit – every morning, we get up and we apply an anti-perspirant or a deodorant. But do we know what we’re applying? Are anti-perspirants linked to cancer? What’s the difference between the two anyway? WAAAA. Anti-perspirants are designed to stop you sweating – we’re talking the heavy sprays that sometimes end up crusting in white patches over your skin. The Sure’s, Rightguard’s of the world, and all sorts of MAX POWER AGAINST SWEATING – SWEAT-IS-EVIL type products. 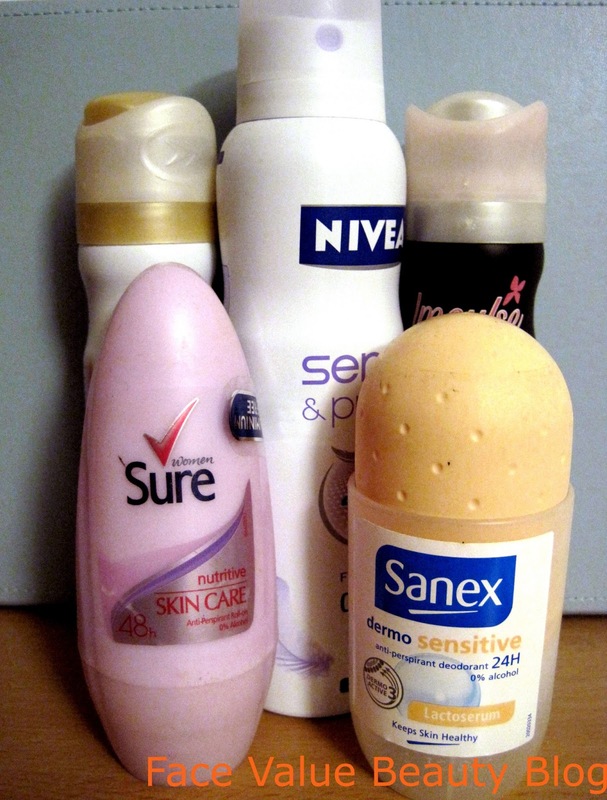 Deodorants on the other hand, are only designed to prevent you from smelling. Most anti-perspirants are deodorants too since they stop you sweating but if you buy a solo anti-deodorant (ie Impulse), you’re only perfuming yourself as opposed to preventing sweat. Regardless of the myth – sweat is odourless. Seriously dudes, google it. It’s only when left on the skin that it starts to smell. Basically, the normal bacteria which lives on the skin starts to feed on the sweat (mmm) and this process breaks it down into the unpleasant smell that we link with BO aka BOOOO! Get your heavy-duty science hat on – we’re going one level deeper! The ingredient that stops you sweating is derived from Aluminium. This is found in pretty much every single anti-perspirant on the shelf. Not to scare-monger like my pal The Daily Mail, but there is some chat over the health impacts of the aluminium compounds used in anti-perspirants. I have done NO MEDICAL RESEARCH on this, but to summarise quickly: aluminium potentially linked to breast cancer + Daily Mail = up to you. But what about my sensitive skinned friends out there who are allergic to Aluminium compounds? Must they be deemed to smell FOREVER?! An alumnium-free deodorant made with Japanese Spa Minerals- oooh. 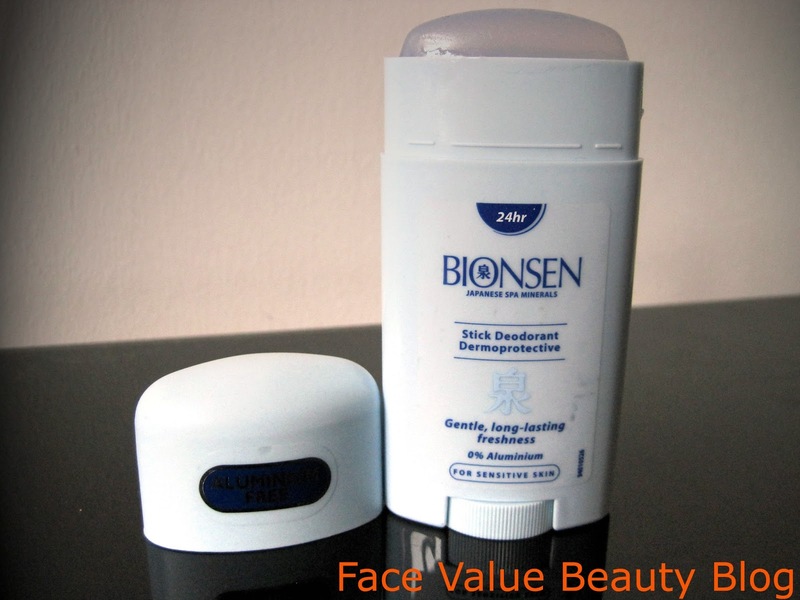 Bionsen works to prevent the bacteria build up so although it doesn’t stop you sweating, it stops you from smelling. This is certainly one for the purists and the organic army- it’s alumnium free, paraben free and perfect for sensitive underarm skin. My view? Sweating is a natural thing. Human’s are designed to sweat, stopping it with harsh chemicals every day is not the one for me. I’m not against anti-perspirants though! If it’s a special suede top or a grey marl shirt which will ruin my dignity if I have The Lake District under my arms – anti-perspirant rules the roost. But if everything’s kept under wraps, or I’m just chilling at home – Bionsen, let’s go! If I go to the gym, nothing is going to stop me sweating- but it may as well keep me smelling of roses, right? Bionsen comes in a stick, a rollon and a spray. Obviously all three of which I have tried..! 1. The roll-on takes forever to dry. 2. The stick dries almost instantly and is really smooth. 3. The spray is perfect for also spraying in your clothes, to prevent bacteria build up in your clothes. So I won’t smell but what does Bionsen smell like? The scent is light and fresh, the right side of Calvin Klein for Men and certainly not for those who are looking for a fruity or floral scent. Pore purists will love this, you feel fresh and clean without the feeling of clogging your pores with anti perspirant. I now use this pretty much everyday, and my underarm texture has also improved. And because its aluminium free, I can lash it on with no worries! HOORAY. Do you use an anti-perspirant everyday? Are they strong enough to stop you sweating? Do you want to stop sweating completely? Eclat d`Arpege Gourmandise : My first Lanvin purchase! I have to say, sweating is one of those things that I am really paranoid about so I always wear an antiperspirant formulated for 'active lifestyles' such as Sure Active stick. Ironically, I'm less bothered about wearing it to the gym where I'll actually be active because, well, the whole point of that is to sweat! The bionsen looks like it could be good for those trips though, so I might have a wee look into it.